It’s no secret, that I have a bit of a weakness for the LEGO games. I was crazy excited for last year’s The Lord of the Rings adaptation, and was taken by surprise when it was announced that the next installment would feature a huge roster of characters from the Marvel universe. With the likes of The Avengers, Fantastic Four, X-Men, Spider-Man, and dozens of other minor heroes coming together to fight a massive threat (quite literally), it’s quite cool to see how it all played out. If you’ve played and enjoyed any of the previous LEGO games, don’t hesitate to pick this one up. It’s definitely one of the best in the series. 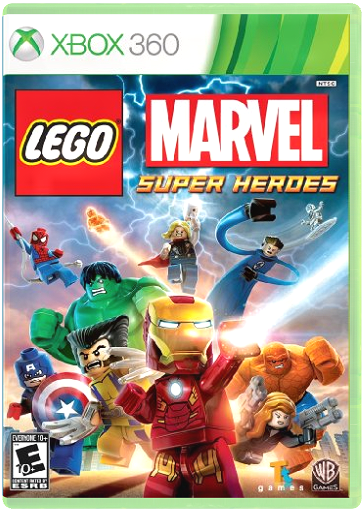 Similar to LEGO The Lord of the Rings and LEGO Batman 2, LEGO Marvel Superheroes trades in the level hub for an open world environment, full of fetch quests, races, and other challenges to keep you busy long after the story has been completed. In fact, I finished the story at under 20% completion. That goes to show you how much additional content there truly is. 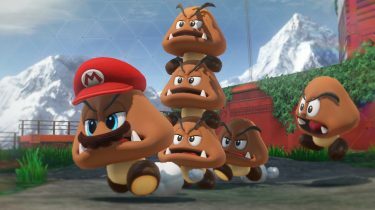 And while there are a lot of minor side quests, there are 11 mini levels which new heroes and villains that didn’t appear in the story, which are unlocked upon completion. While there is no hub per-say, the S.H.I.E.L.D. helicarrier sort of acts like one. This is where you spawn in each time the game loads, where you buy extras, create characters, and quickly access story and mini levels for replay. During the story, you often have to jump from the carrier and skydive down to New York City below. Some characters who can fly, like Iron Man, can fly to and from the carrier at any point. 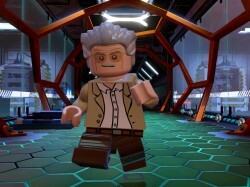 Stan Lee makes a cameo in each of the 15 story levels, and the 11 mini levels. And rescuing him is one of the tasks you must complete in order to get 100% in each level. 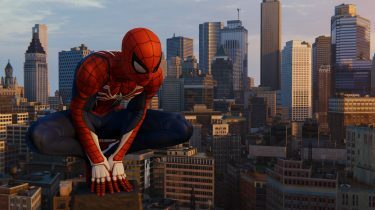 In most cases, you can’t save him during the first play through, as it often requires the power of a hero would isn’t currently active, so you’re guaranteed at least one additional play-through if you’re going for 100% game completion. Similar to other LEGO games, there are red bricks in the mini levels, a “True Believer” meter (stud collecting) in every level, and 10 minikits to be found in each of the story levels. 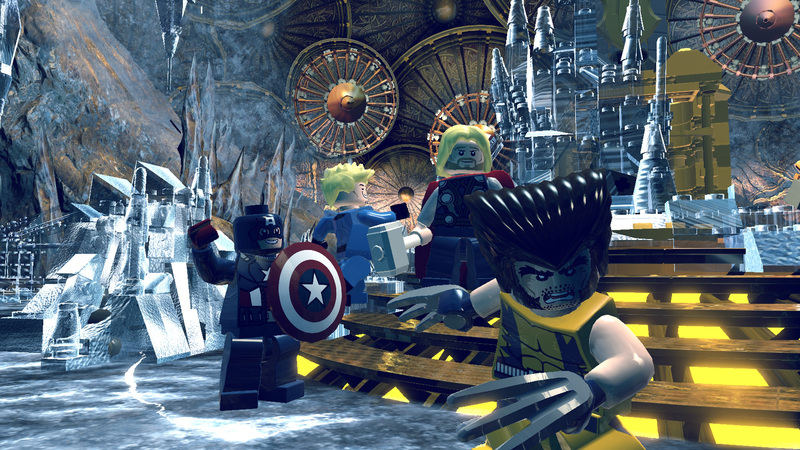 While other LEGO games have had characters with different abilities, Marvel Superheroes takes this about 10 steps further. 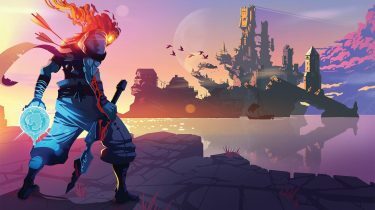 Since each hero and villain has their own set of powers and abilities, nearly every one of them feels unique. Some characters have mannerisms snatched straight from recent films, which is just great. For example, you remember in The Avengers when Hawkeye jumped off the building, turned in the air, and shot an arrow? The way his body was contorted during that jump is how he jumps in the game. Similarly, Iron Man will do the fist to the ground slam, slow head raise when he lands hard. Little touches like this show that a lot of care was put into these beloved characters, even if they are in plastic minifigure form. Visuals are pretty standard for a LEGO game. Things look plastic, and shiny when appropriate. The music is quite well done, in that there are quite a few themes that cater to specific characters. I don’t think there are any exact themes from the films, but they are definitely along the same line and totally recognizable. I played the entire story split-screen co-op with my 5 year-old daughter, and we both had a blast! Even now, she gets upset if I play without her, so it looks like the two of us are in it for the long haul. I ended up getting all 1000 achievement points in LEGO The Lord of the Rings, and I might just go for it again with Marvel Superheroes.